Paget's disease of bone causes your bones to grow too large and weak. They also might break easily. The disease can lead to other health problems, too, such as arthritis and hearing loss. You can have Paget's disease in any bone, but it is most common in the spine, pelvis, skull, and legs. The disease might affect one or several bones, but not your entire skeleton. More men than women have the disease. It is most common in older people. Doctors use blood tests and imaging tests to diagnose Paget's disease. Early diagnosis and treatment can prevent some symptoms from getting worse. Treatments include medicines and sometimes surgery. A good diet and exercise might also help. Article: Paget's disease of bone. 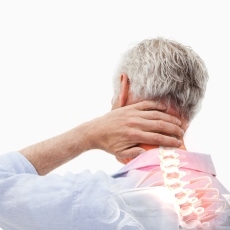 Article: A rare case of Paget's disease affecting the cervical spine.